Prime Minister Justin Trudeau welcomed Mexican President Enrique Pena Nieto to Canada at an official dinner in Toronto on Monday night. 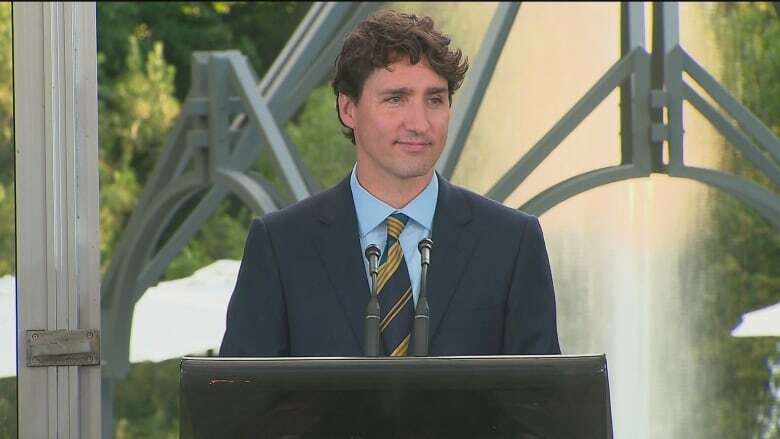 The leaders toasted each other at Casa Loma, a castle-like landmark in midtown Toronto, and said they were celebrating a renewed friendship between Canada and Mexico. Trudeau noted it has been some time since a Mexican president visited Canada. "It's hard to believe that more than six years have passed since we last welcomed a Mexican president on a state visit. I'm sure that everyone in this room will agree when I say that six years is too long to wait for visits between friends," Trudeau said. "Of course, Canada and Mexico are more than just friends. We are partners, and it's what we share as partners and friends that I'd like to celebrate tonight. We share a continent, but we also share connections between people." Trudeau said the people of Canada and Mexico, including as tourists and students, have a long history together. "And of course, we have shared economic interests too." He said Canada and Mexico want a relationship that allows for "greater trade, stronger growth and more job creation." Trudeau noted that Mexico sent 41 firefighters to Fort McMurray, Alta., to help fight the wildfire that destroyed neighbourhoods in the northern Alberta city. "That kind of help is exactly what good friends do. We appreciate it and we will not forget it." Trudeau said he and Pena Nieto will discuss trade, ways to facilitate the movement of people between Canada and Mexico, Indigenous issues and climate change. Pena Nieto, in his toast to Trudeau, said Canada and Mexico share values, including openness, respect and freedom. He said these values strengthen and renew the friendship between Canada and Mexico. 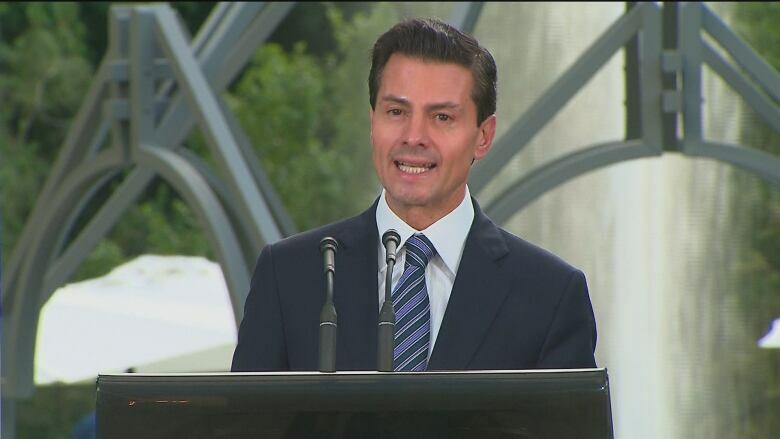 "You will find in Mexico a partner and you will find a friend in me," Pena Nieto said in Spanish. A handful of protesters greeted Pena Nieto on Monday as he arrived at the official dinner. The protesters were angry that the Canadian government has welcomed Pena Nieto after recent clashes in Mexico's Oaxaca state between police and teachers. At least eight people were reportedly killed. The visit comes ahead of Wednesday's Three Amigos summit in Ottawa, which will also be attended by U.S. President Barack Obama. Ontario Premier Kathleen Wynne is also attending the dinner at Casa Loma. "We want to work in partnership with Mexico. It's about finding the right place in the global economy. It's not about building walls," Wynne told reporters Monday morning. The Ontario premier had held closed-door talks with Pena Nieto at a Toronto hotel before the evening's state dinner. 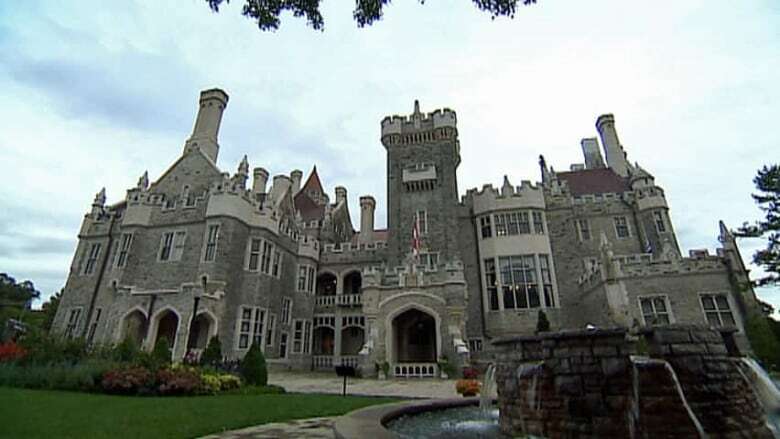 Amanda Sicilia, marketing and social media co-ordinator for Casa Loma, said the dinner would be held in Casa Loma's glass pavilion. For hors d'oeuvres, the three leaders were served miso B.C. steelhead salmon, lime caviar, petit Montreal smoked meat on rye, Monforte Dairy chevre tempura squash blossom, wild strawberry gazpacho, Kind Organics microgreens, Prince Edward County beef tataki and foie gras stuffed black truffle macarons. The first course was billed as "Coast to Coast Seafood Trio." That means seared Nova Scotia scallops, B.C. spot prawns and castle grown chervil salad and West Coast Dungeness crab panna cotta. The main course, called the "Finest of the Prairies," was 72-hour sous vide Alberta short rib, foraged Ontario morel café au lait and Barrie Hill Farms asparagus, with celeriac purée. Dessert was mini BeaverTails and homespun maple walnut gelato. Wines served were Bachelder Niagara Chardonnay 2013 and Colaneri Cabernet Franc 2013.